Hello people of the internet!!! On today’s ‘Monday Memos’ we are going to talk about an announcement that had the internet in a craze just a few days ago. I thought that we should talk about because the announcement is SO AWESOME, and it shows that fans really can make change happen. If you’re a makeup lover and/or music fan then listen closely, because this is an announcement you’re not gonna want to miss. So now let’s get to the fun part. Ready? Ok, let’s go! A few months ago, a fan started a petition on change.org, which asked for MAC Cosmetics to consider creating a new makeup line honoring the late singer Selena Quintanilla. On Thursday July 16th, 2015 Mac announced that they will release the collection in 2016.Senior Vice President James Gager said, “Selena’s talent and beauty, inside and out have, have left a colourful, meaningful impact in the world, that has continued to grow over the last two decades,” “We have heard the passion and enthusiasm from her fans and wholeheartedly agree that her legacy embodies M.A.C.’s philosophy. We are so excited to announce a Selena inspired M.A.C collection debuting in the latter part of 2016.” This is definitely going to be an amazing line that we’ll spend all our money on. Selena was such a fashion icon and trailblazer in both her music and fashion, so I’m interested to see how the line will combine what we love about Selena’s style, and what we love about MAC products. It’s definitely cool to see that the companies we love show that they love us too by listening to our opinions and making them a reality. Oh before you go, please check out the video below if you want to see just why Selena is so loved. All credit goes to harpersbazaar.com, MAC, Selena Quintanilla, Q-Productions, EMI Latin, A. B. Quintanilla III, Abraham Quintanilla Jr., Bebu Silvetti, change.org, James Gager, all of the businesses, companies, people, and any other original owners involved and/or mentioned in this blog post, and all original owners. I do not own anything in this blog. If any people, corporations, businesses, companies, etc, were not previously given credit for their work, they are given credit now and their previous absence was unintentional. All opinions expressed in this blog are my own. I wrote this blog for entertainment purposes and no copyright infringement is intended. 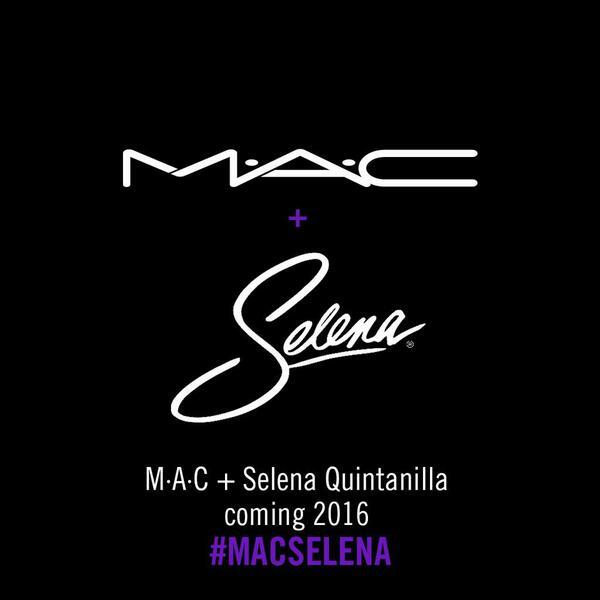 celindareyesblog July 21, 2015 1 Comment on Monday Memos: Mac announces The Selena Collection. Category: Monday Memos. Tagged: 2016, A. B. Quintanilla III, Abraham Quintanilla Jr., Bebu Silvetti, change.org, EMI Latin, fall, fashion, harpersbazaar.com, haul, James Gager, mac, makeup, mall, music, new, Q-Productions, Selena Quintanilla, spring, summer, texas, winter.